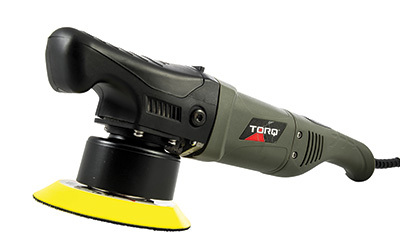 TORQ® engineers designed the 10FX Random Orbital Polisher to work with the user, not against them. By designing a machine around the user, TORQ crafted the user interface to be as easy and user-friendly as possible. On-board digital controls and display deliver ideal comfort, ease of use, precision, accuracy, and improved safety. The streamlined digital display and power controls are ergonomically integrated directly above the hand grip, all within thumb’s reach. TORQ 10FX power controls are extremely intuitive, making it comfortable and easy to control speeds without ever taking your hands off the machine or eyes off the paint. The intuitive design keeps your eyes and attention on the job for improved safety and faster results. 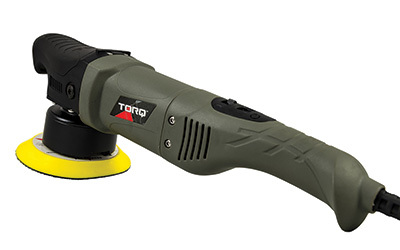 The streamlined and ergonomic design of the TORQ 10FX deliver the most comfortable polishing experience possible to the user. 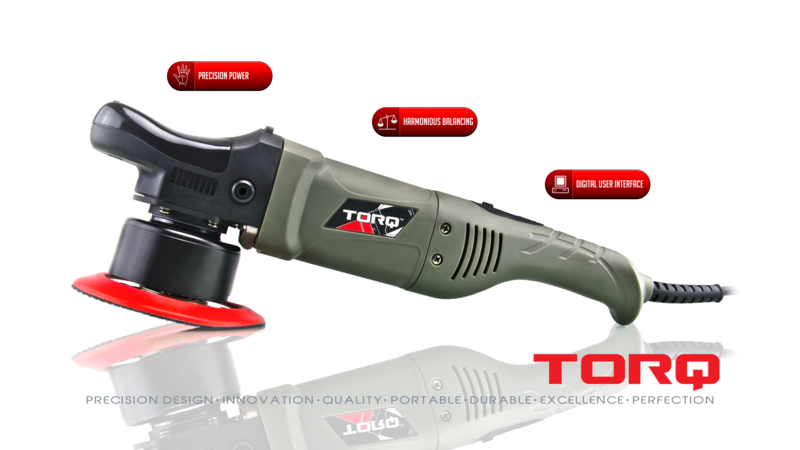 To create the TORQ® 10FX, engineers blended Precision Power (P²) motors and gears with an intuitive digital User Interface (UI). The result was a machine with superior Harmonious Balancing (HB), and an unmatched smooth user experience. 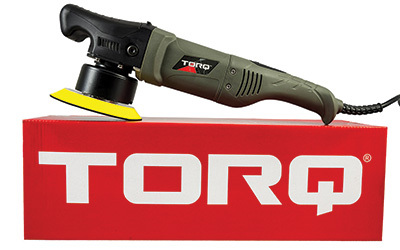 No other machine on the market combines the power, smoothness, and intuitive ease-of-use of the TORQ® 10FX. Easily polish paint to remove swirls and scratches from any painted surface. Quickly apply wax, sealant, and glaze to any size vehicle in minutes. The innovative design takes detailing to the next level. The ergonomic design fits perfectly in the hands of any detailing professional or enthusiast. Electronic User Interface (EUI):Digital display and speed control buttons for precise and intuitive control. Harmonious Balancing (HB): Internal components and machine configuration finely balanced for superior ease of use and unmatched user experience. Precision Power (P²): Smooth power delivery and start-up function.